The National Democratic Congress has failed to meet the July 30 deadline set by the Supreme Court for all parties in the Election Petition to file their written addresses. All the other parties - the petitioners, President John Dramani Mahama and the Electoral Commission however met the deadline and filed their written addresses at the Supreme Court Registry by the close of work Tuesday in accordance with the court’s order. Daily Graphic’s court correspondent Mabel Aku Banaseh reports that Mr Victor Adawudu, a member of the communication team of the NDC had attempted to file the party's address but the court registrar rejected it for being incomplete. As of 6:36pm Tuesday when the court was closing its offices, Mr Adawudu who had left the court's premises had not returned to file the complete address. The Supreme Court before it adjourned on July 17 ordered all the parties to file their addresses simultaneously on or before July 30, 2013. By this development, the NDC risk being shut out or could be allowed to file on Wednesday July 31, 2013 when the court resumes sitting. The NDC and President John Mahama are known to have a similar interest in the case and it is suspected that they have addressed all that needs to be taken care of in the President's address which has already been filed. Indeed during the hearings, the two parties relied on one witness, Mr Johnson Asiedu Nketiah to state their case. It is believed that their failure to file on time was strateggic to allow them time to see what the petitioners have written to respond appropriately, that is if the court grants them leave to do so. In the instance of the court allowing the NDC after the deadline, the petitioners would likely apply to be allowed to respond to the NDC's address. The petitioners address is 176-pages. It was submitted in both soft and hard copies at the court in 16 separate boxes by Mr Kweku Asirifi and Alex Quainoo, Mabel Aku Banaseh reported. That of the first respondent, President John Dramani Mahama, 106-pages, was filed by Victor Adawadu, a member of the communication team of the National Democratic Congress (NDC). There were 20 copies of the address, containing appendixes detailing exhibits. It contains 170 paragraphs. An official of the Electoral Commission (EC), Mr Joseph Asamoah filed that of the EC which is 15-pages and have 19 copies. The essence of the addresses is to give the parties the opportunity to sum up the evidence adduced so far in the case, argue on relevant issues raised, punch holes into each other’s case and attempt to convince the court as to why the status quo of the Presidency should be maintained or changed. Obviously, the stakes are high and the parties are determined to convince the court with their addresses. Remarkably, none of the nine-member panel, presided over by Mr Justice William Atuguba, was ever absent during the 46 days of proceedings and prior hearing of interlocutory applications to necessitate an adjournment. The other panel members are Mr Justice Julius Ansah, Mrs Justice Sophia Adinyira, Ms Justice Rose Owusu, Mr Justice Jones Dotse, Mr Justice Anin Yeboah, Mr Justice Paul Baffoe-Bonnie, Mr Justice N. S. Gbadegbe and Mrs Justice Vida Akoto-Bamfo. These men and women, who have been given enormous powers under the 1992 Constitution and other statutes, will take into account all the issues raised in court, study documents filed, adopt laws and arrive at their final judgement. There are currently more than 407,000 documents at the Supreme Court Registry. They include pink sheets (statement of poll and declaration of results form), affidavits from 4,000 witnesses of the President and the NDC and other documents relevant to the case. It is important to note that the court has sweeping powers to come up with its own set of rules and guidelines for the future. The issues the court will consider before arriving at its final judgement are whether or not there were statutory violations, omissions, irregularities and malpractices in the conduct of the elections held on December 7 and 8, 2012. The star witness of the petitioners, Dr Mahamadu Bawumia, led evidence, while six additional witnesses testified in the form of sworn affidavits, to justify the annulment of votes. Dr Bawumia led evidence in each category of the allegations. He sought to justify why Nana Akufo-Addo should be declared President. Led by lead counsel for the petitioners, Mr Philip Addison, Dr Bawumia said Nana Akufo-Addo won the elections by 59.69 per cent, while President John Dramani Mahama polled 39.1 per cent. Thus, per the calculations of the petitioners, votes in 10,081 polling stations should be annulled due to what they termed “gross and widespread irregularities”. According to the petitioners, President Mahama benefited from 2,612,788 votes, while the presidential candidate of the New Patriotic Party (NPP), Nana Akufo-Addo, had 1,228,229 votes from the said irregularities. On the other hand, the Chairman of the Electoral Commission (EC), Dr Kwadwo Afari-Gyan, testified on behalf of the EC and maintained his declaration of President Mahama as the winner of the polls. He told the court there was no basis for the court to grant the petitioners their wish. The General Secretary of the National Democratic Congress (NDC), Mr Johnson Asiedu Nketia, led evidence on behalf of President Mahama and the NDC and also dismissed the claims of the petitioners. The President and NDC have argued that there is no logical, arithmetical or other basis upon which the petitioners came to the conclusion that the two million plus votes cast in the December 7 and 8, 2012 presidential election should be annulled. They have also maintained that the elections were generally free, fair and transparent. Hearing and disposal of preliminary issues took place between January 10, 2013 and April 2, 2013. 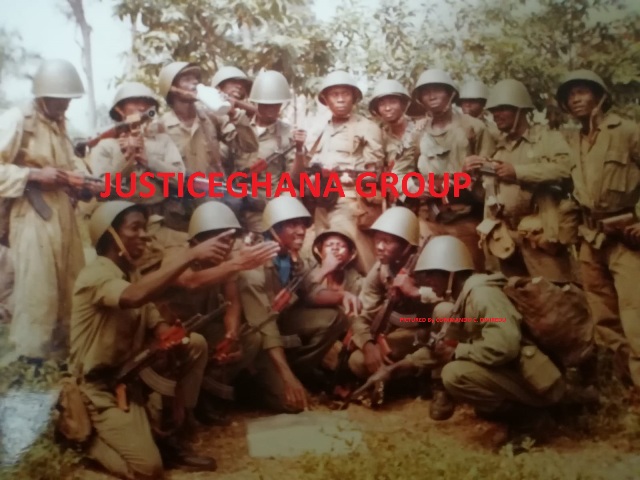 Issues that were determined during the period included the NDC’s application to join the petition, the court’s permission to the petitioners to amend their petition, the grant of the respondents’ application for the petitioners to furnish them with further and better particulars and the refusal of the court to allow the petitioners to inspect and make photocopies of collation forms for 275 constituencies. Other issues disposed of by the court during the period also comprised the blocking of 327 persons from joining the petition to support President Mahama, filing and amendment of pleadings by the parties and the court’s subsequent setting out of two issues for determination, among many other issues. In all the court disposed of more than 21 applications after 10 days of sitting. With all interlocutory issues resolved, the hearing of the substantive petition ended exactly three months from the day it began. It began on April 17, 2013 and ended on July 17, 2013. Another significant observation was that the petitioners and the EC, who are the main actors in the petition, took only two days to lead their witnesses in evidence, but their witnesses were each subjected to 13 and 14 days of cross-examination respectively. As per the rules, the court, on July 17, 2013, gave lawyers in the case up to July 30, 2013 to file their addresses simultaneously. The court will resume sitting tomorrow (July 31, 2013) to iron out issues that might arise and finally give a date for its judgement. The petition, which was filed on December 28, 2012, had initially alleged gross and widespread irregularities at 4,709 polling stations but on January 31, 2013 the petition was amended to request the court to annul votes in 11,916 polling stations. After careful scrutiny, the petitioners are now relying on 10,081 polling stations to make their case for annulment. The issue surrounding the actual number of pink sheets filed by the petitioeners was so controversial that the court on May 9, 2013 contracted internaitonal audit firm, KPMG to audit the pink sheets submitted by the petitioners. The firm presented its report on June 24, 2013.